Have you secretly been dreaming of a pink velvet sofa ever since you toured Anine Bing's home on MyDomaine? Us too. 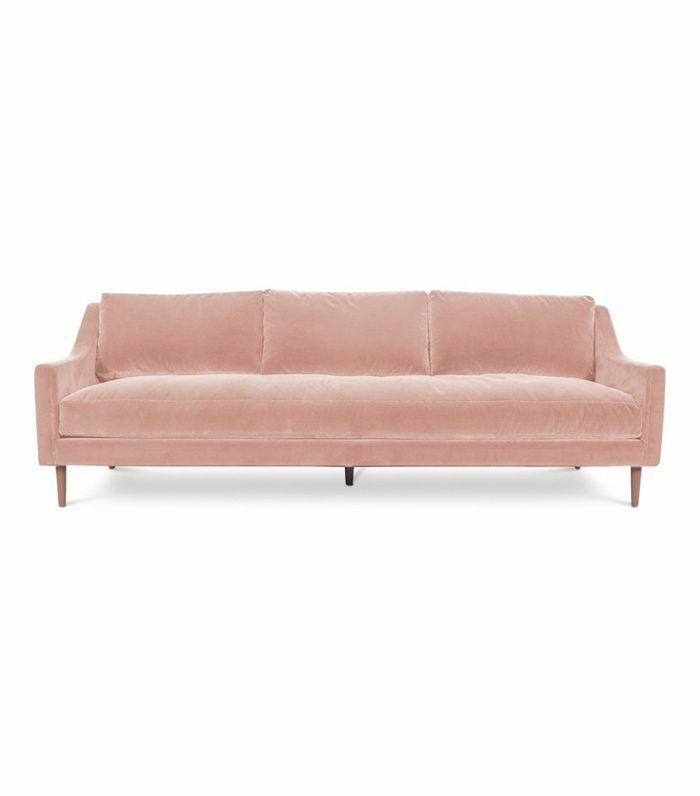 There's something about a pink velvet sofa that feels a little luxurious but not too serious at the same time. And if you think it would be hard to pair with your décor, think again. As far as we're concerned, blush pink is the new neutral. Case in point: It looks great against a black-and-white palette, pairs wonderfully with every shade on the sunset spectrum, and gives us vacation vibes when mixed with emerald green. It looks beautiful with blue tones (especially when lilac is also involved) and even goes great with brown. Convinced you need a dose of blush in your life? 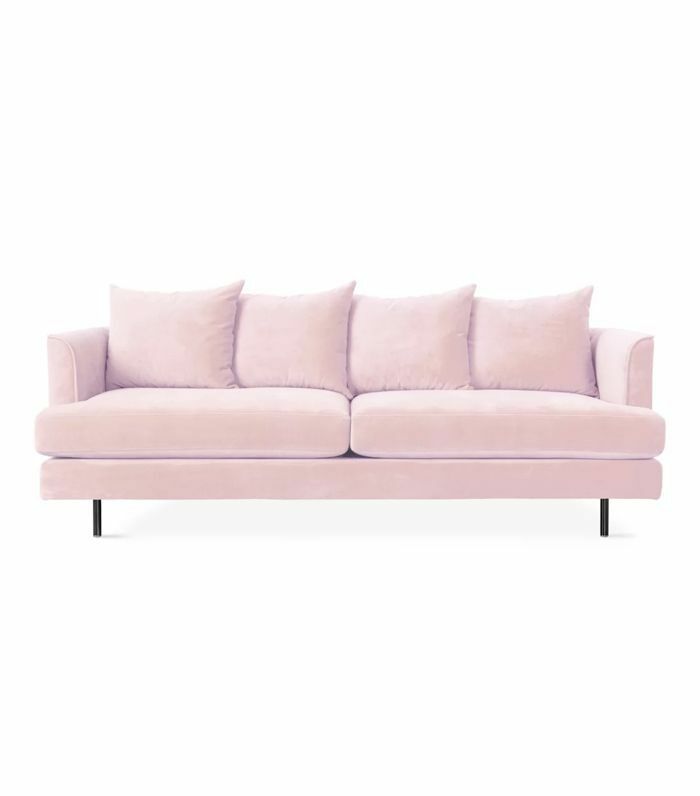 We handpicked the best pink velvet sofas to add to your space today. 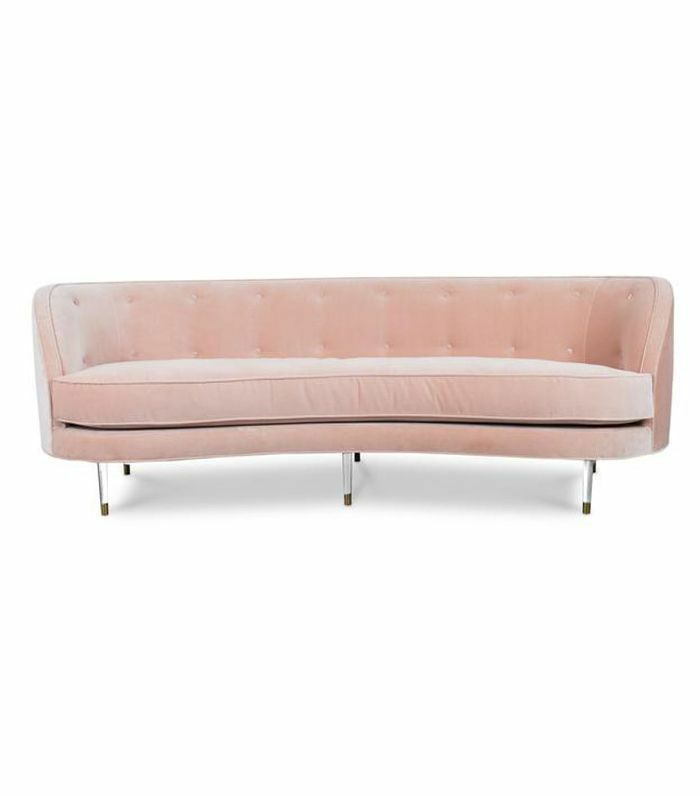 You can thank Article for being the purveyor of a chic and affordable pink velvet sofa. We are. The beauty of Anthropologie sofas (other than the fact that they are indeed beautiful) is that they can be customized in dozens of fabric options, like this rosewater velvet. Reach peak luxury with this long tuxedo-style pink velvet sofa. 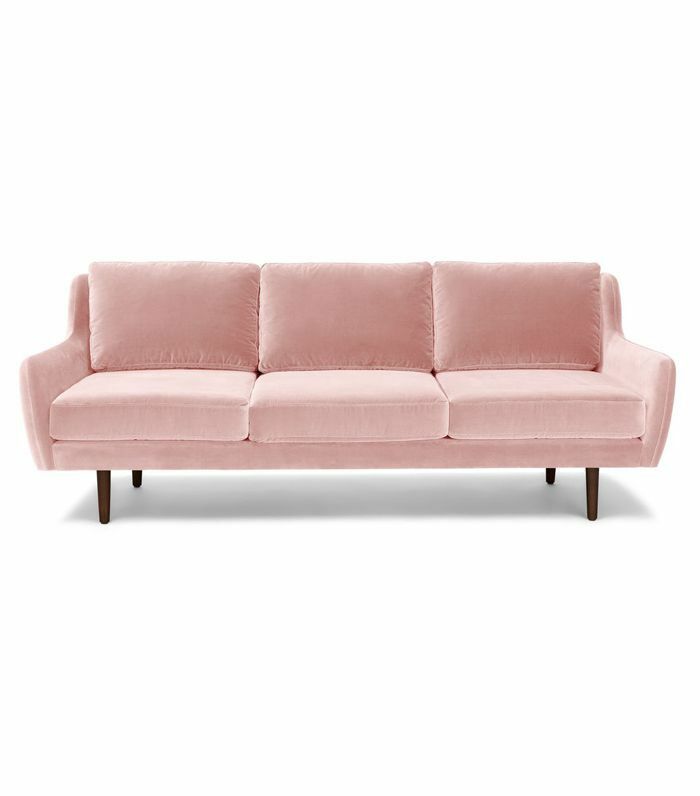 We're sold on this pink velvet petite sofa from West Elm, which is under $600. Want to channel your inner Anine Bing? 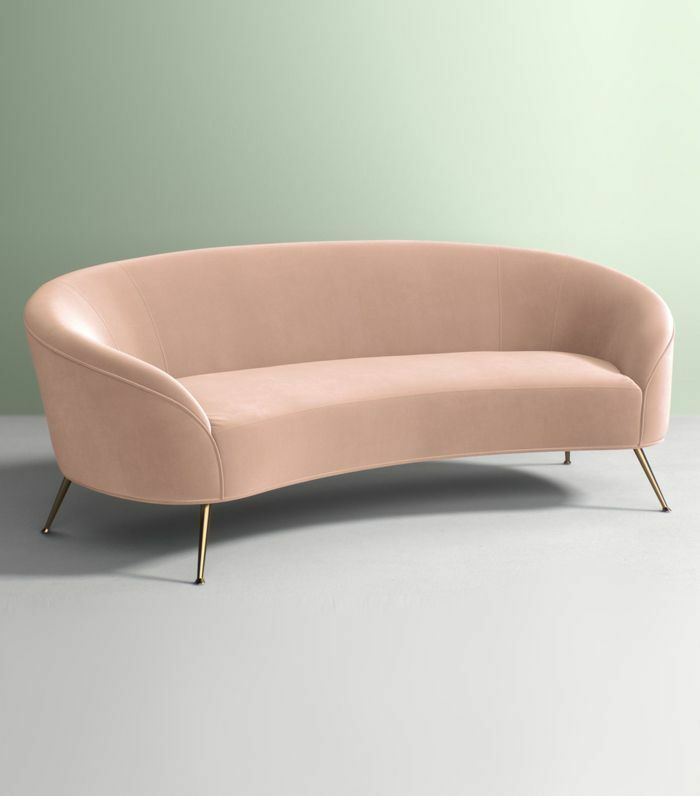 Try this curved tufted pink velvet sofa from ModShop. 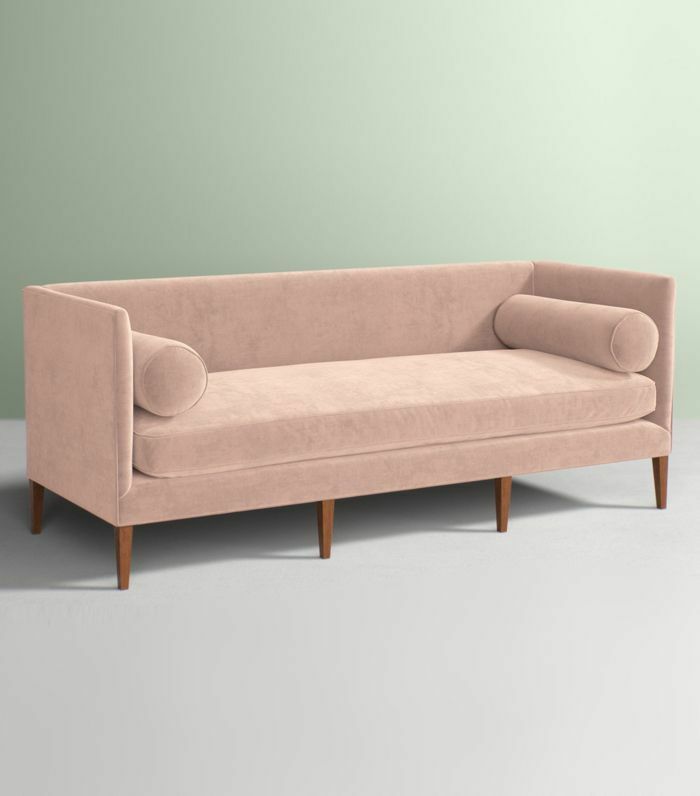 If you like midcentury style, you'll love this West Elm sofa, which comes in multiple fabrics including pink velvet. 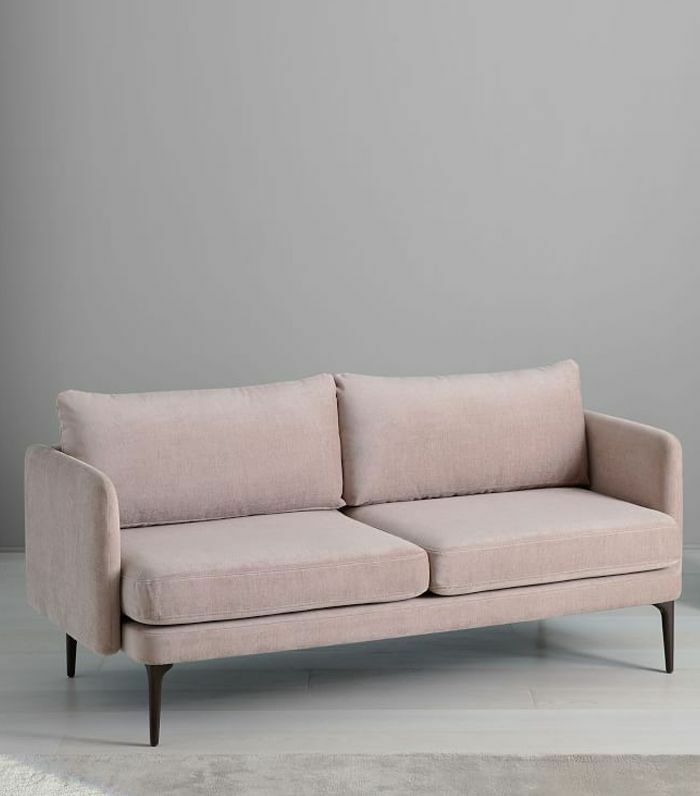 This ultra-light pink velvet sofa from Gus Modern is calling our name. Can you hear it? Another Anthropologie stunner. 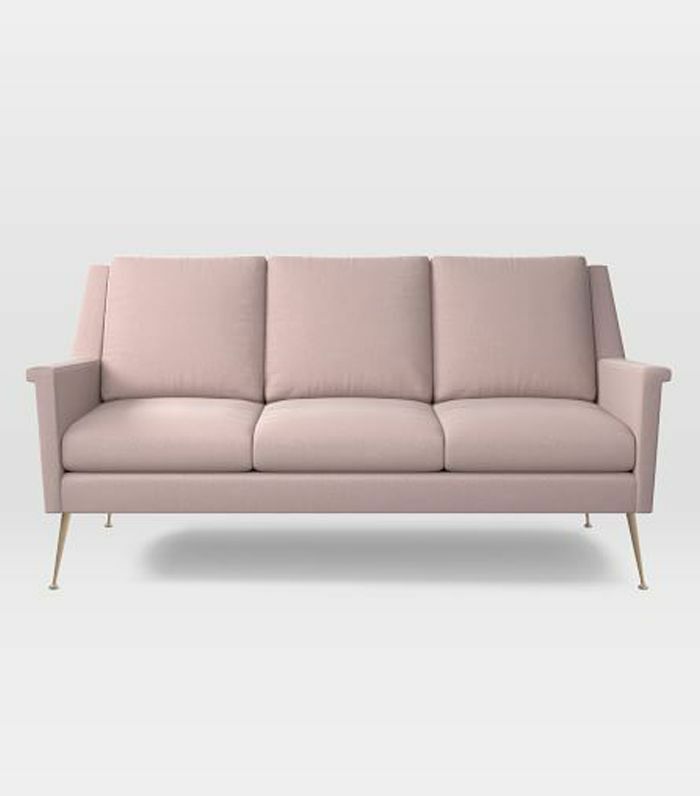 We're really into this sleek tuxedo sofa upholstered in pink velvet. Small space, small budget? 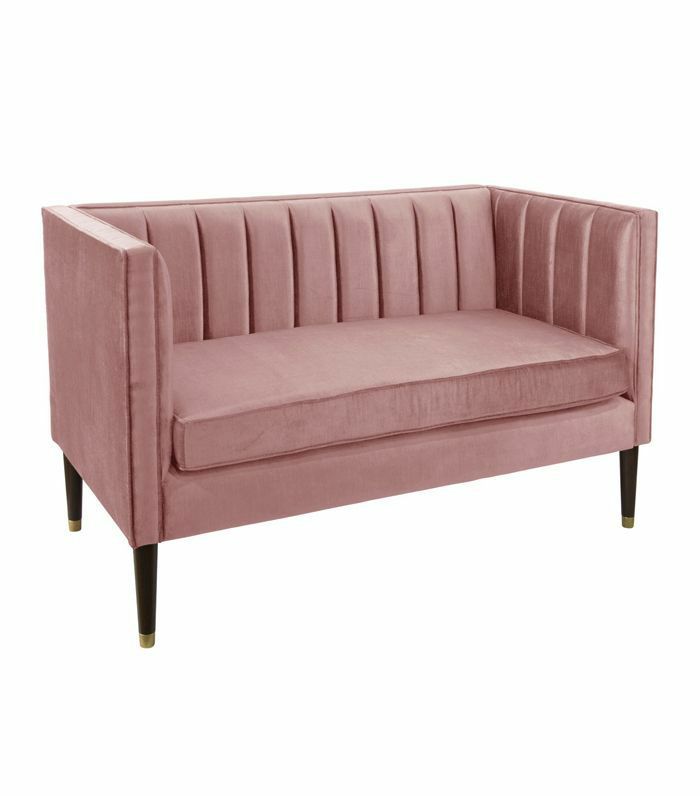 Look no further than Target's channel tufted pink velvet settee. Next up: Think affordable couches are a myth? Think again.